Few things are as fundamental to democratic values as free and fair elections. That’s why anyone, of any political persuasion, should be concerned that our top national security officials are anticipating trouble for the upcoming midterm elections. There’s broad agreement that the state of our election security is dire. The U.S. intelligence community has concluded definitively that Russia interfered with the 2016 presidential election. Dan Coates, the Trump-appointed director of national intelligence, told the conservative Hudson Institute earlier this summer that “the warning lights are blinking red” on a cyberattack. 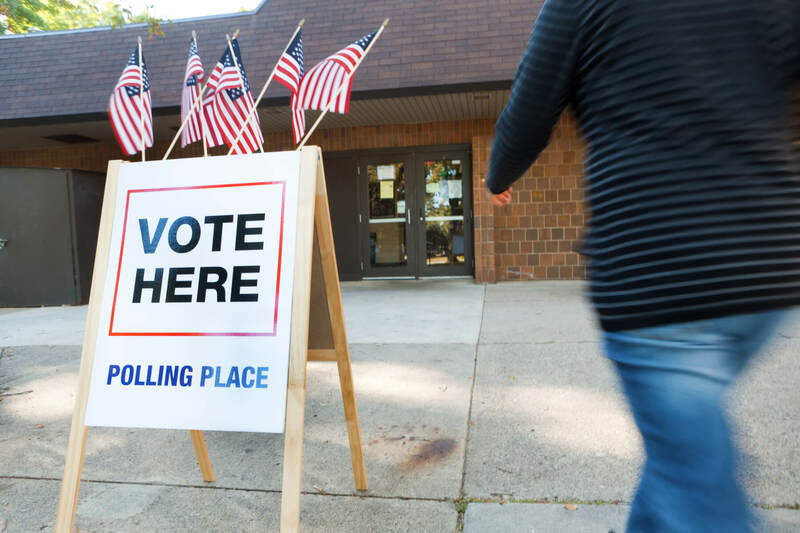 When the Brennan Center for Justice surveyed election administrators across the country, it found that 229 officials in 33 states need to replace voting machines by 2020, and that officials in 41 states said they will be using equipment this fall that is over a decade old. If you don’t trust the elites to give it to you straight, take it instead from the 11-year-old girl at a hacker conference who, earlier this month, gained access to a replica of the Florida secretary of state’s website in under ten minutes and changed the outcome of a mock election in favor of the libertarian candidate. Giving security clearance to the top election official in each state so they can monitor threats to their voting systems. Establishing a formal channel that allows the Department of Homeland Security, other government agencies, and states to share information on election security. Ensuring that states conduct an audit after any federal election, and incentivizing them to use electronic voting machines that retain a paper record of each ballot. The Secure Elections Act had been moving steadily through Congress until last week, when a committee markup of the bill was abruptly cancelled. Some news reports found that the White House moved to block it. Whether or not that was the only factor, there is a leadership void on the issue; the White House has offered few details on how they plan to ensure the validity of federal elections, and in May eliminated the position of cybersecurity coordinator on the National Security Council. Marilyn Marks, an election security advocate with the Coalition for Good Governance, concurs that election security need not be complicated or costly. To prove her point to officials in Georgia, she bought four used optical scanners for $2.50 apiece, demonstrating that voting machines don’t need a lot of bells and whistles to be secure and effective. At Harvard, experts joined with a bipartisan team of top officials from the Clinton and Romney campaigns to create a Cybersecurity Campaign Playbook. And for states that lack the funding or the will to move to a new system by the midterms, the Brennan Center has published a toolkit to guide states through building contingency plans in case their equipment fails or an outside parties interferes. Many observers agree that states have upped their game since 2016, but a coordinated federal effort is crucial when it comes to repelling foreign interference. The issue of election security is ripe for bipartisan cooperation. Congress should forge ahead on the Secure Elections Act, and voters in every state should push their officials to ensure that elections truly reflect the will of the people. This article originally appeared in the September 1, 2018 issue of Wide Angle, our regular newsletter designed, we hope, to inform rather than inflame. Each edition brings you original articles by Common Ground Solutions, a quiz, and a round-up of news items — from across the political spectrum — that we think are worth reading. We make a special effort to cover good work being done to bridge political divides, and to offer constructive information on ways our readers can engage in the political process and make a difference on issues that matter to them.